Pinterest is a visual goldmine. After staring at blocks of text for hours, what a joy it is to open Pinterest and feast your eyes on visual masterpieces – fashion, food, pets, travel destinations, and more. You may already be using Pinterest for fun. You've probably set up boards for the categories you like to share. And you may even spend time each day browsing similar categories and repinning pins that you like. Pinterest, though, is more than just a playground for your eyes. In September 2015, Pinterest claimed to have 100 million active users monthly, so it can be a huge resource to get traffic to your blog. Here are a few tips to get you on the right path. If you don't have a blog yet, get one for FREE at SimpleSite – just click the green button. Creating a Blog Board is a great way to have your blog posts found by your Pinterest followers and also by people who are just browsing categories that interest them. Give your Blog Board the same name as your blog. If your blog is about Thai recipes and you've named your blog 'Authentic Thai Recipes,' give that same name to your Pinterest Blog Board. When someone searches for 'authentic Thai recipes,' your board is likely to show up. 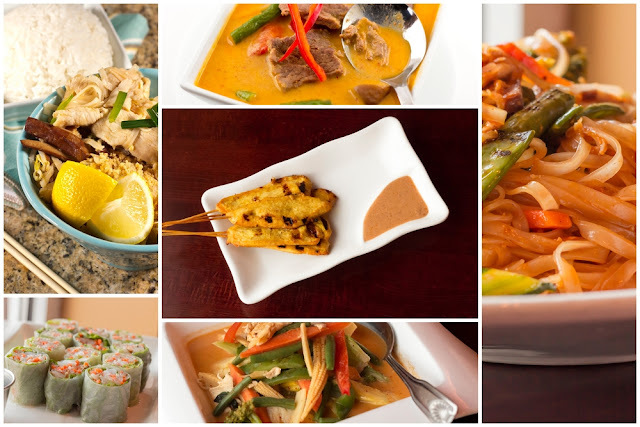 Be sure that your blog pins include mouth-watering photos of those Thai recipes. Add a brief summary of the post and a link to the article, and you're all set. Once again, you'll want to have great images, some text, and a link to your blog post. If you've already been browsing Pinterest, then you realize the value of enticing images. You don't click on the boring images, so why would anyone else? Your images will be in a sea of beautiful photos, and you need your images to stand out from the crowd. That's not always easy, but one way to do this is to make your image long – either a tall photo or an infographic. Another way is to make a collage of several photos with captions on a tall background. When you are writing your blog post, keep in mind the need to have at least one Pinterest-friendly image in your blog that you'll be able to pin on your Blog Board. A keyword is a word or phrase that someone puts into a search window when looking for information or images on a particular topic. When a person opens Pinterest and types 'authentic Thai recipes' into the search window, it is logical that Pinterest will give that person the results that are closest to that keyword phrase. You can see, then, how important it is to give a name to your boards that contains a keyword or keyword phrase. In addition, use keywords strategically in the description you place below the image you pin. Just keep in mind that any text on the image itself will not be included in the search. 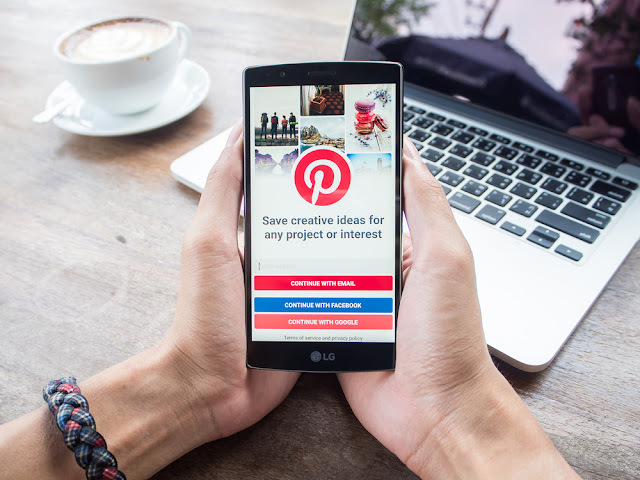 Pinterest is your opportunity to reap the benefits of visual storytelling. Everyone loves a good story, especially when the images are engaging. Blogs made with SimpleSite are SEO-optimized right out of the box. 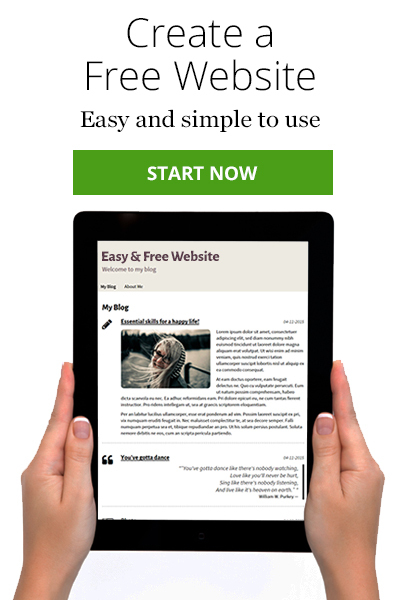 Click the green button to make your own SimpleSite blog for FREE. Build a Blog here - It's FREE! Do one have to pay before using Pinterest on a blog?